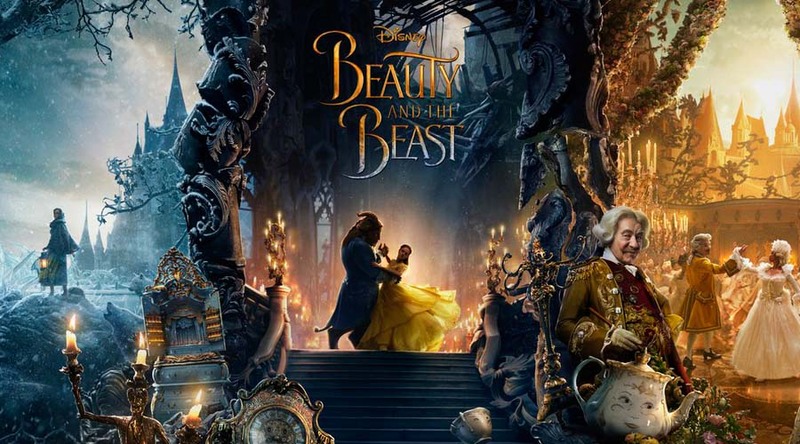 The tale as old as time becomes new again as Walt Disney Pictures releases the final trailer for their upcoming live action adaptation of the classic Beauty and the Beast. View trailer below. Belle is a young woman who is taken prisoner by a Beast in his castle. Despite her fears, she befriends the castle’s enchanted staff and learns to look beyond the Beast’s exterior to recognize the true heart and soul of the human Prince within, just as a hunter named Gaston is on the loose to take Belle for himself and hunt down the Beast at any cost. Just like before, I’m literally in Disney heaven right now! I’m so excited for this movie. This final trailer for the movie showed off plenty of new scenes. While I grew up watching Disney movies (and still love them) the 1991 animated cartoon Beauty and the Beast was always a favorite of mine (only to be rivaled by Lion King). Thus, seem this movie come alive as a live action movie is incredible. I can’t wait to see the ballroom scene, the whole “Be Our Guest” and the whole ending of the movie. The cast looks great, the visuals look good (and whimsical), and the story is (already) a tale as old as time. I placed this movie on the #3 spot on my Top 15 Most Anticipated movies of 2017 and, judging from this final trailer, I have feeling that I’m going to love this movie. AH I’M SO EXCITED!! Especially after this trailer, I think the cast is just spot on and I really want to watch it now! !